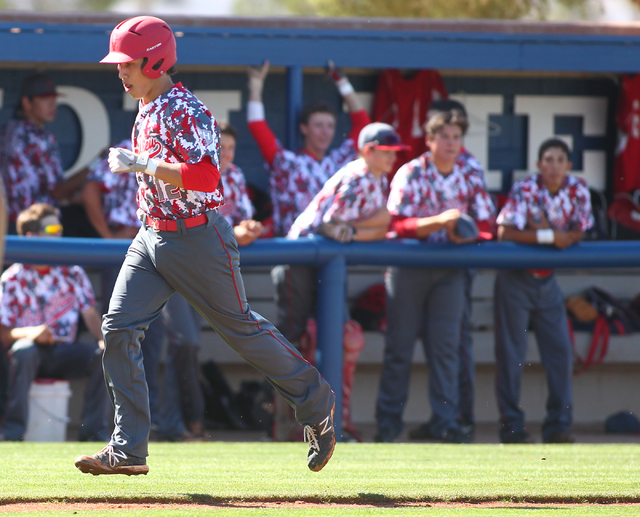 The Arbor View baseball team has won in a variety of ways during its current 13-game winning streak. It was the long ball that did it Thursday for the Aggies. 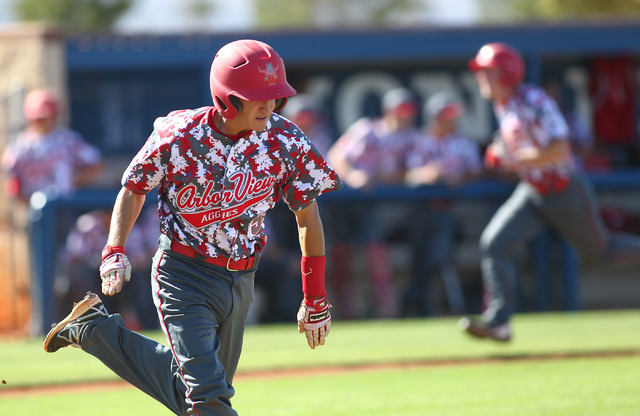 Six of Arbor View’s eight hits went for extra bases, including two home runs, and the Aggies held on for a 6-5 victory at Sierra Vista. The win helped No. 7 Arbor View (18-7, 5-1 Northwest League) maintain a one-game lead over Shadow Ridge, which hosts the Aggies on Wednesday in a game that will go a long way toward deciding the league title. 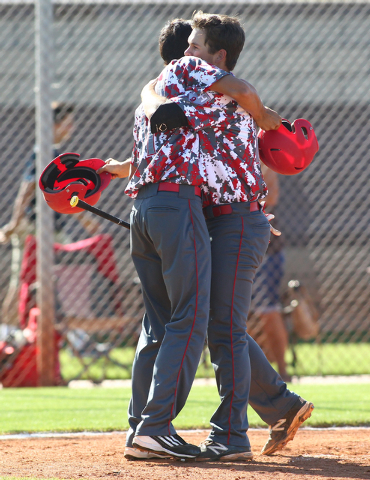 Nick Quintana went 2-for-4 with a solo homer in the first inning, and Sid Cutting launched a solo shot leading off the fourth to give Arbor View a 6-4 lead. 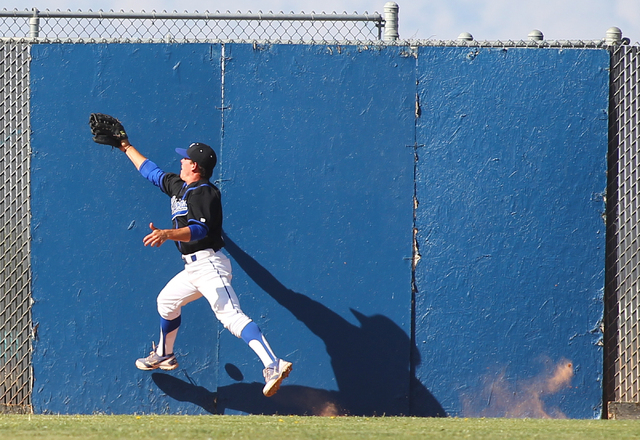 Sam Pastrone added two doubles and an RBI for the Aggies, who haven’t lost since an 11-0 drubbing by Sierra Vista on April 1. Nolan Kingham finished 2-for-3 with two RBIs for Sierra Vista (16-8, 3-3). His run-scoring single in the bottom of the fifth brought in Caeden Marin to cut the Aggies’ lead to 6-5, and Kingham took second on the throw home. 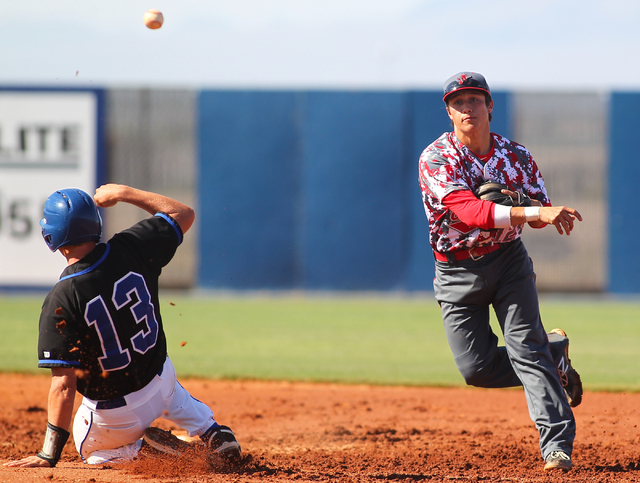 Bailey Welter followed with a drive to deep right-center that Arbor View’s Kaid Urban tracked down. Urban fired the ball back to the infield, and after some brief confusion, Kingham was ruled out for not tagging up. 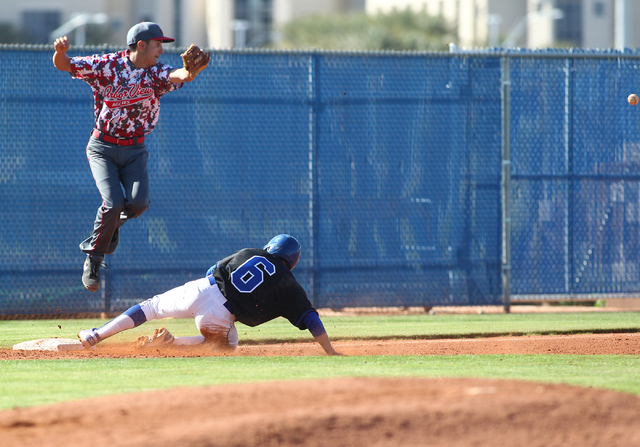 The play proved to be costly for the Mountain Lions, as Matthew Almaguer followed with a single to right that would have tied the game. Pastrone struck out Alex Kern with Almaguer on second to end the fifth, and he escaped unscathed in the sixth after a one-out error put the tying run on second base. In the seventh, Kingham just missed a game-tying homer before Ben Cutting came on to get the final out. “He was able to get some pitches late and get some key outs for us,” Guest said of Pastrone. Pastrone had an RBI double, and Kevin Johns added a two-run triple as the Aggies scored four times in the top of the third to take a 5-1 advantage. 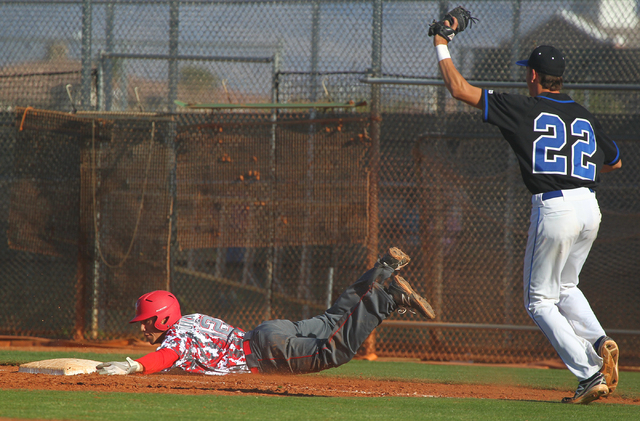 Sierra Vista answered in the bottom of the inning with three runs. Kingham and Almaguer each had a sacrifice fly, and a throwing error allowed Cole Crosby to score.